For a weekend, I would style my super cosy jumper with my Tommy Hilfiger jeans (which are the most comfortable pair I've ever found!) and my Toms canvas shoes. I would also wrap up even warmer with an oversized scarf if I had to brave the outside! For a weeknight, I would style up the jumper. I've paired it here with a polka dot swing skirt from French Connection and some red heels for a pop of colour. I would also add a metallic clutch bag for a bit of added sparkle! For a weekday I would pair my cashmere jumper with some coated black trousers, these are my favourite pair from Topshop. Depending on how dressy I feel, I would either wear these black heels or some heeled boots. How would you style a cashmere jumper? I loooove cashmere jumpers! They are my winter's essential! Such a versatile piece. Cute! Your jumper looks so nice and soft! Love your outfit ideas. I love cashmere jumpers! 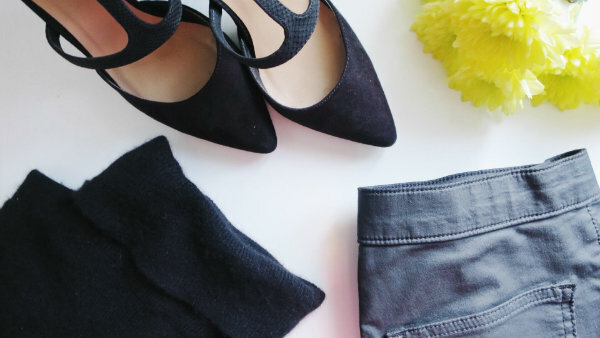 They're so cozy and versatile, as all your outfit ideas show! I love these three ways to wear posts that you do, they're so great for outfit ideas I wouldn't usually try! I love cashmere sweaters and they can be so warm and cosy. Those pink shoes are so cute! That polka dot swing shirt is super cute! I love cashmere sweaters. You styled this sweater perfectly for weekend and weekdays. 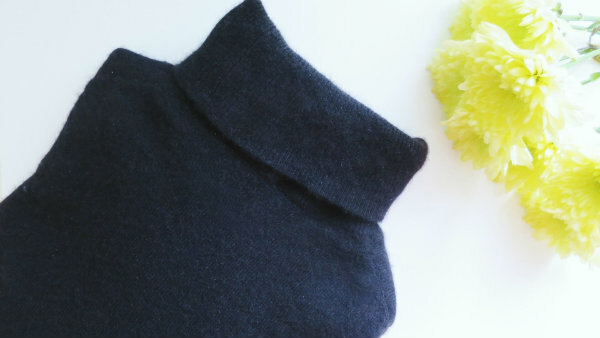 Cool ideas, in love with cashmere jumpers! I'm loving these outfit ideas, girlie! I especially love the one with the polka dots and red pumps, so retro and chic! Thanks for sharing and I hope you have a great week ahead! I love the different ways you would style this jumper! It is such a beautiful piece! Such a gorgeous post - loving these tips!! I love jumpers and your ideas and tips on styling them is perfect, especially for this time of year as it can easily take you from day to evening! So versatile! Cool styling tips! Great post! The pics are stunning. :) Thanks for the useful tips. I have been lusting for a cashmere sweater, I think they are so timeless. Great tips. I love cashmere jumpers, but believe it or not I cannot wear them :( I have some sort of allergy :( Nevertheless, I loved the pictures, the shoes are amazing! I hope you have a very beautiful week! Beautiful selection. I love cashmere sweater. great tips. I cashmere jumper is just so versatile! Great tips and thanks for sharing. Greetings!